ASNT Research Symposium conference in Garden Grove, California - EXTENDE is at the ASNT Research Symposium conference in Garden Grove, California, U.S.A.
NDTMA Conference in Las Vegas, Nevada - EXTENDE is at the NTMA Conference in Las Vegas, Nevada, U.S.A.
CIVA 2017 is now available! Revolutionized parametric and POD studies with metamodels inside! UT Analysis: Lateral waves linearization and deletion in TOFD, one more step towards automated analysis! More information in the Release Note! 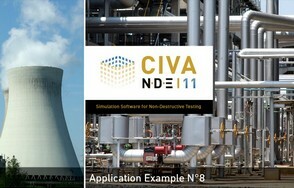 If you wish to know more about CIVA, contact us!